There is nothing quite so annoying as not being able to find a vital gadget or ingredient when you need it… you know it’s in the kitchen somewhere, but you just can’t put your fingers on it! 2. 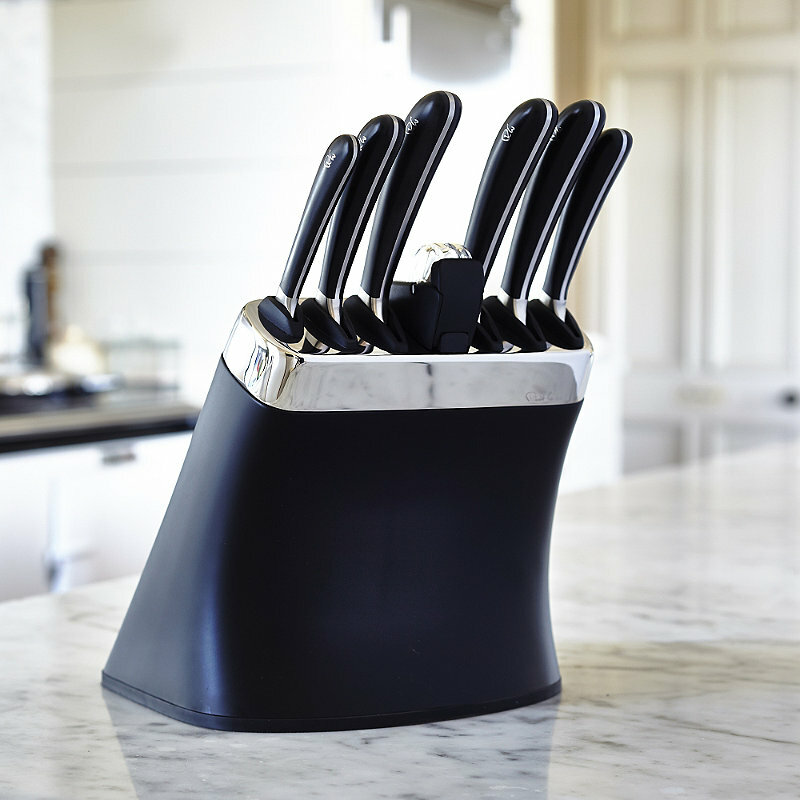 Worktops; you can save space on worktops by hanging utensils and even knives from hooks or rails under your wall units or even by using a neat knife block and popping your most-used utensils into a recycled pot near to the stove. 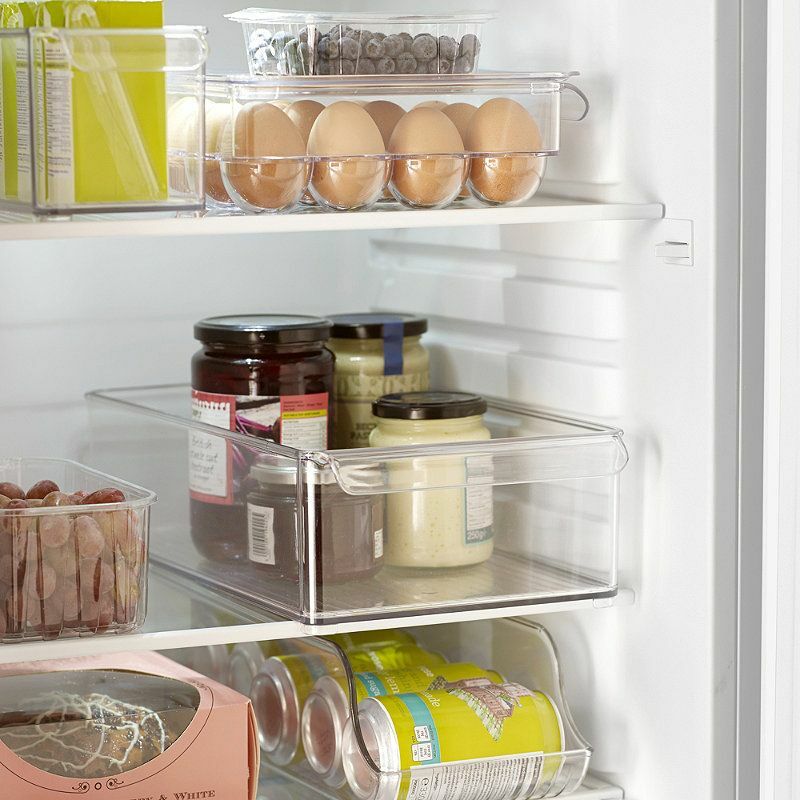 And any extra utensils left over will benefit from having more space around them in the drawer and a cutlery tray or set of dividers might assist with better organisation. 3. Plates and other crockery can look great on display if you have a smart stand or rack to put them on and that means more space in your cupboards for ingredients! And cup hooks, so aptly named, are the very thing for mugs, cups and jugs. 4. Cupboards; it shouldn’t be necessary to rip out your kitchen and start again. Can you stack your pans together to save space or do you have head room to hang them above the cooker in a country kitchen way? Would your bakeware be better in a rack rather than a heap? How many chopping boards do you need close to hand? 5. Check use-by dates on food – how long have you had that packet of Mexican spices? Will it really have any flavour left? Spices work really well stored together in tubs, it’s so much easier to find them all at once – it’s best to keep them in a dark place and if you keep them in a sealed box they’ll be safe from any dampness created on batch-cooking days. 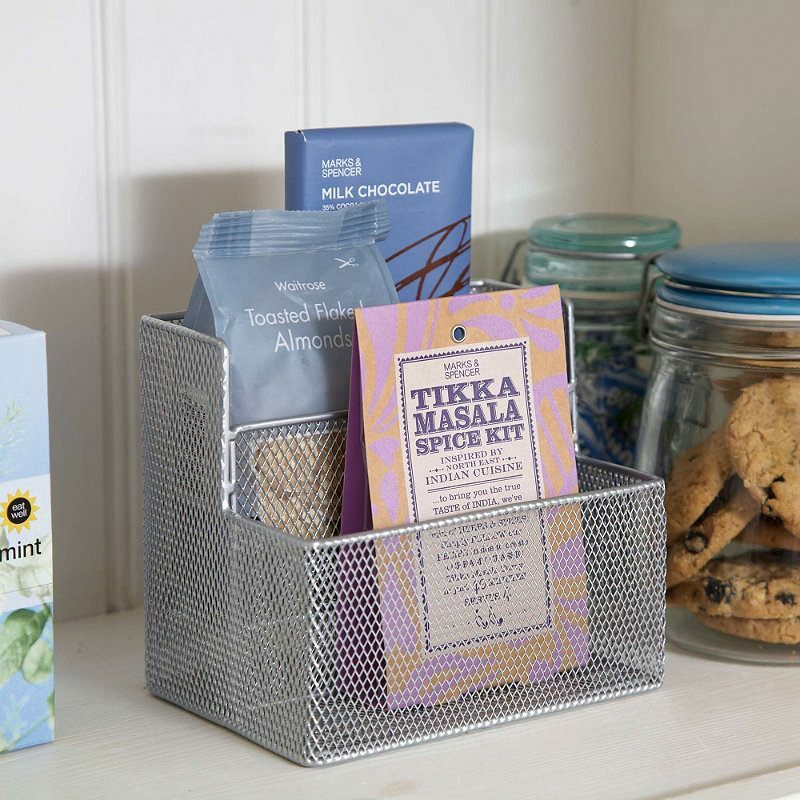 Sachets may just need putting together so they don’t disappear from view or you might find that caddies are the answer – even a letter rack (perhaps semi-retired since the advent of email) can be brought back to usefulness for sachets and packets. 6. Tins of food don’t always stack neatly on top of each other so perhaps you need to think about fitting more shelves into cupboards, folding versions are very adaptable and can be moved from shelf to shelf depending on where you need them until you decide to remodel in years to come. 7. Dry goods like flour, rice and pasta are often better stored in airtight containers that stack so they are easily kept together and if the containers are clear or have windows you’ll have no trouble telling when you need to shop for more. And of course, if you’re as keen on baking as we are, there are all those dinky pots of flavouring, edible lustre and sprinkles together with icing nozzles that might be best to go together in a dedicated space! 8. Even your fridge will appreciate a bit of a tidy and if you have family who love a cool can of pop, Fridge Binz have the answer to prevent shelves disappearing under an avalanche of cans. 9. Many of us have kitchens that have to be multi-functional, with space for all those cleaning essentials and laundry too – a caddy to keep things together might be the answer or if you prefer to keep things away from tiny fingers try a sturdy lidded box. 10. And finally, for drying laundry a modern extendable ceiling airer brings the Victorians’ answer to the problem right up to date – and right out of the way – above your head. 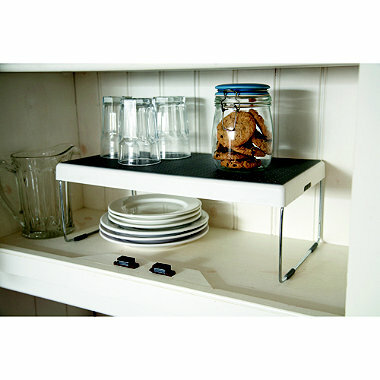 For more great storage ideas pick up our latest catalogue in store or browse one online here!